The new independent Living Wage Commission, set up by the Living Wage Foundation to oversee the calculation of the Living Wage rates in London and the UK, is being launched today (14th January 2016). The high profile Commission, drawn from leading Living Wage accredited employers, trade unions, civil society and independent experts, aims to support and promote the goals of the Living Wage as an attainable benchmark for employers committed to going above and beyond the statutory minimum. It will oversee an initial review to align the methodologies underpinning the Living Wage rates and advise on the Living Wage calculation each year, based on the best available evidence on trends and policies that affect living standards in London and the UK. 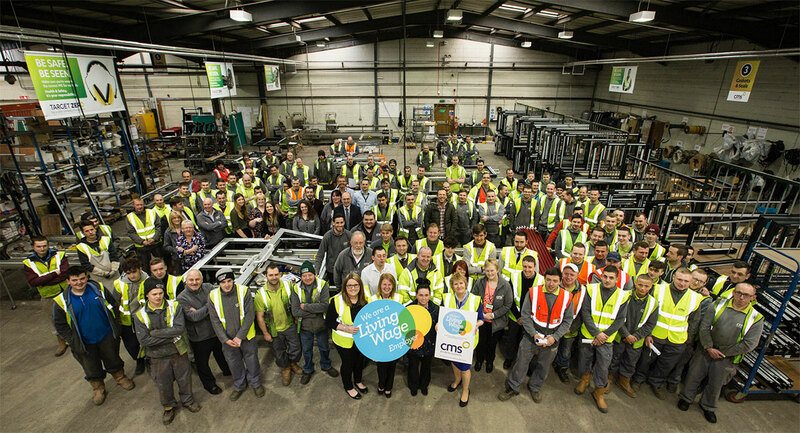 The Living Wage movement has had enormous success over the past year. The Commission will ensure this success continues, providing robust governance and advice on the rates to encourage more employers to raise wages in sectors such as retail and hospitality with large numbers of low-paid workers. A stronger jobs market provides the right backdrop for a renewed push to get more employers to make the transition to the Living Wage. The need to tackle low pay is stronger than ever and I’m confident that the new Commission will help build even greater buy-in to the living wage across the country. The Living Wage campaign has been at the forefront of efforts to ensure that the most socially and economically disadvantaged communities are paid a decent wage and have access to secure and meaningful work. The number of Living Wage accredited employers has doubled to more than 2,000 over the past year, and now includes more than a quarter of the FTSE-100 and household names such as IKEA, Nestle, National Grid, Nationwide, Unilever, and the Houses of Parliament. The establishment of a high profile Living Wage Commission responds to the recommendations of a working group set up by the Living Wage Foundation to look at policies that could affect the UK and London Living Wage rates before the General Election. The working group, which included representatives from leading Living Wage accredited employers, the TUC and the existing calculating bodies, called for a permanent Commission to oversee an initial review to align the methodologies underpinning the Living Wage rates and advise on the Living Wage calculation each year, based on the best available evidence on trends and policies that affect living standards in the UK. The new body seeks to support more leading employers and low paying sectors to move to the recommended Living Wage rates. It follows the launch of a new Living Wage People’s Movement in November 2015, which seeks to harness the energy of ethical consumers by supporting local campaign groups to raise awareness and encourage employers in their towns and cities to pay the recommended Living Wage rates. A new interactive map of all accredited Living Wage Employers means that, for the first time, people can search for Living Wage employers or products and services in their area.